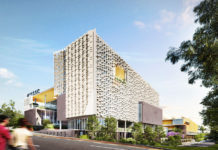 Brisbane Airport Corporation has submitted a major development plan for a new hotel precinct located at the domestic terminal. The proposed hotel development site is located on Dryandra Drive on a existing car park currently being used for a public pick up waiting area and over height vehicle parking. 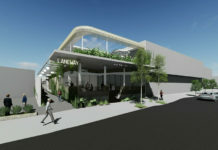 A key marker in the development will be the conference facilities with ancillary uses. 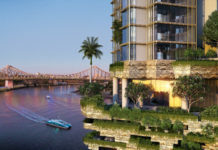 While an impressive ground level design will represent a benchmark in sustainable architecture incorporating landscape features reflective of the key objectives of the Brisbane the BAC Landscape Master Plan July 2009. It is estimated that approximately 200 job opportunities are likely to also be generated during the construction phase of the development, both on and off the site. Construction of the new hotel precinct is scheduled for June Quarter this year, with completion anticipated in March 2016. To view this proposal, visit the link here. Agree with above comments. Brisbane needs more hotels and commercial facilities. It’s currently nowhere near the other state capitals of Sydney and Melbourne. 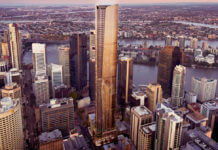 ^^^Well Brisbane only has a population of just over 2 Million people, half that of Melbourne or Sydney.